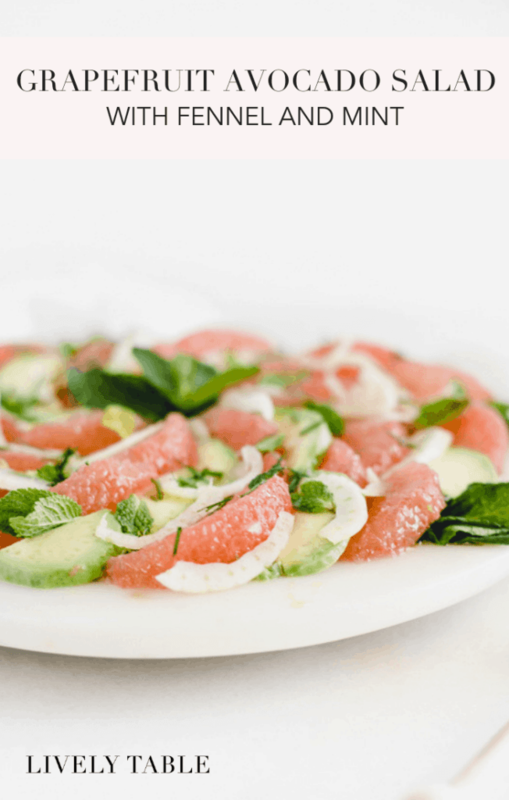 This refreshing grapefruit avocado salad with fennel and mint is a delicious side dish made with simple ingredients. 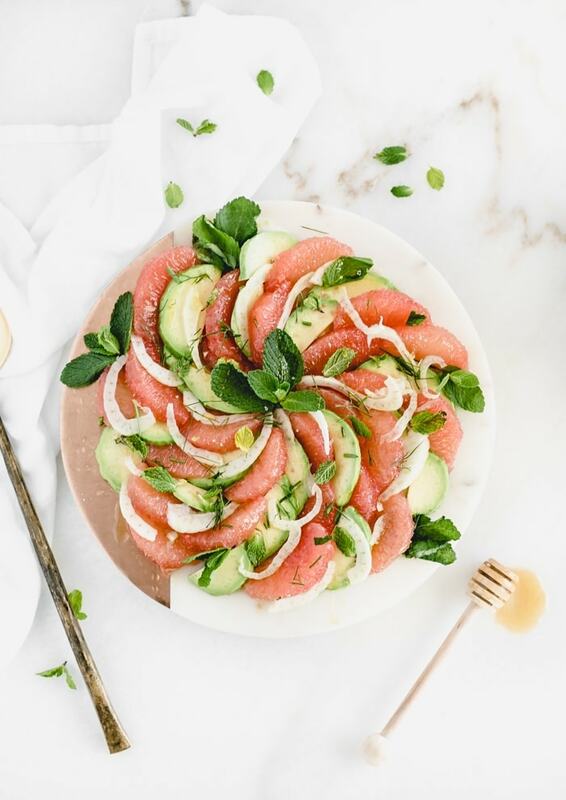 Cool creamy avocado, crisp fennel and fresh mint add a depth of flavor to sweet-tart grapefruit in this gorgeous winter salad! (vegetarian, gluten-free, dairy-free, nut-free) + A GIVEAWAY! This post is sponsored by WinterSweetz. As always, all thoughts and opinions are my own. Thank you for supporting the brands that keep Lively Table running! I’m always so happy when citrus season rolls around. After a couple months of more rich, heavy food than normal, some bright, fresh citrus fruit is just what I crave. And luckily, it’s just in time for flu season – eating all of that vitamin C on a regular basis can help keep the colds away! One of my favorite citrus fruits this time of year is grapefruit – specifically WinterSweetz ruby red grapefruit, grown right here in Texas! This sweet, super juicy grapefruit is literally the best grapefruit I’ve ever tasted, and it lends a beautiful freshness to all kinds of dishes, both sweet and savory. 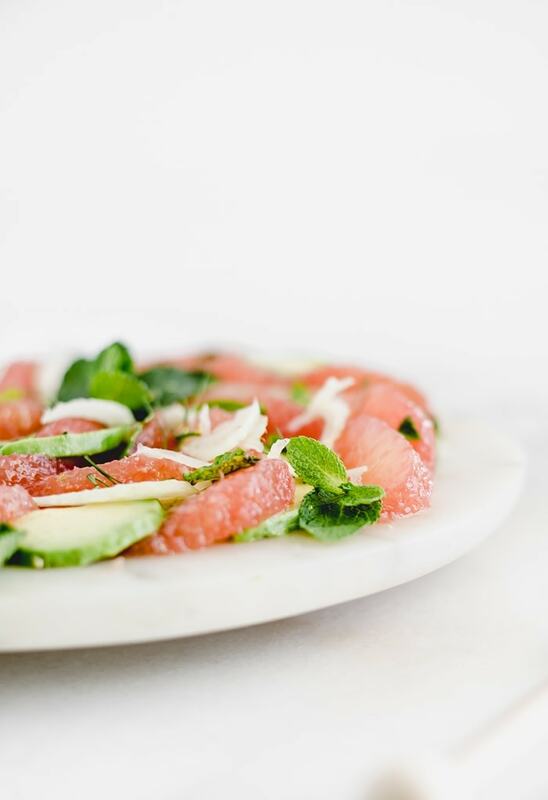 I love using grapefruit in unexpected ways, like in a pretty no-lettuce salad. 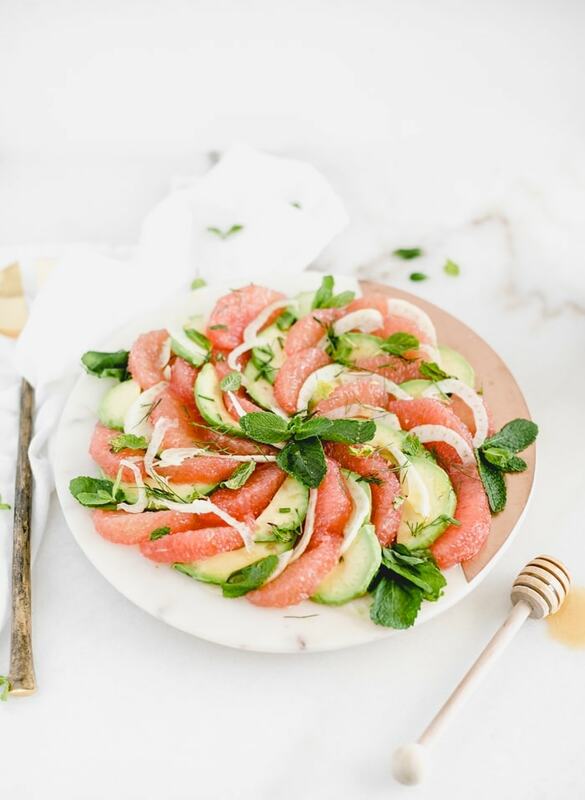 This grapefruit avocado salad with fennel and mint is such a fun way to enjoy seasonal produce, and it looks just gorgeous on your table. 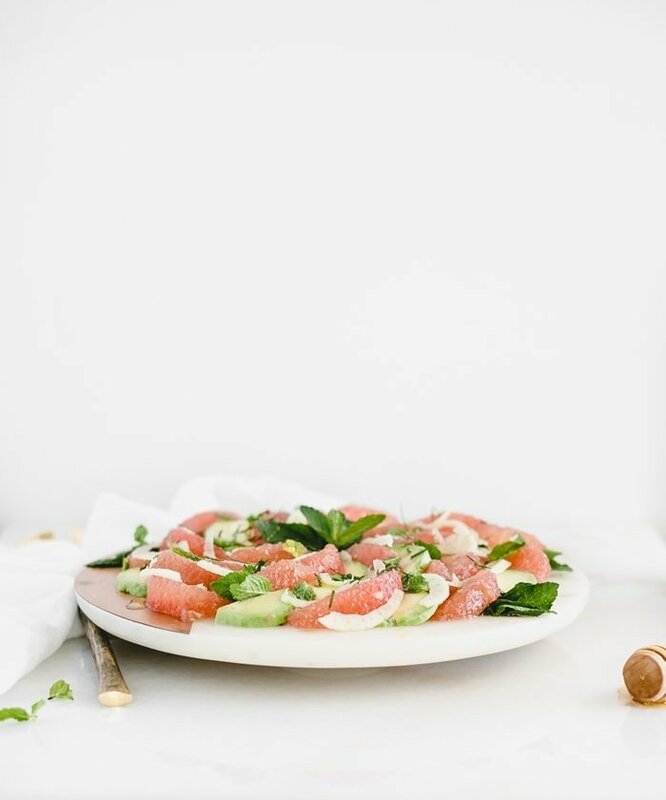 Sweet, tart grapefruit, creamy avocado, and crisp shaved fennel combine into a refreshing dish that is full of flavors and textures that complement each other perfectly. All it needs is a sprinkle of mint and sea salt, and a drizzle of honey and olive oil to really make it pop with minimal effort. WinterSweetz grapefruit can show some natural scarring on the outside skin due to weather conditions such as wind. But the inside is still as sweet and juicy as always! Pick one with blush skin that feels heavy – that means it has lots of juice! 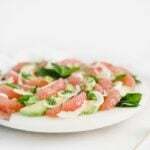 When you’re preparing your grapefruit for this salad (or any time), segment it properly for maximum sweetness. Here’s a quick video to show you how. 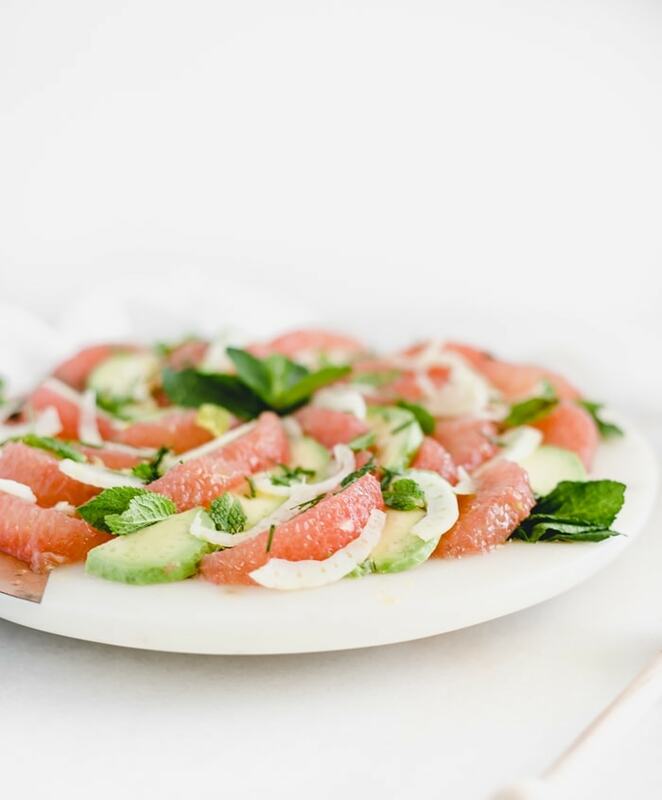 This gorgeous grapefruit avocado salad is a lovely addition to any meal. It goes well with fish, chicken, or red meat, or add it to your favorite cooked whole grain for a simple lunch. Or if you’re like me, grab a fork and eat it straight off the plate when you’re craving something fresh! To help you with your health goals this year, WinterSweetz is giving away a $500 amazon gift card! Head here to enter, and then head to my Instagram for another fun giveaway! Peel and thinly slice the avocado. Thinly shave the fennel bulb. I use a mandoline. Arrange grapefruit segments, avocado slices, and fennel on a serving platter. Sprinkle with mint. Lightly drizzle with olive oil and honey. Sprinkle with salt. I’ve been getting grapefruit every grocery trip the past month! Never thought to pair with avocado. Great idea! And great giveaway! This looks so fresh!! What a great way to start a meal!